Jiroft(South Eastern Iran) - Aratta? DISCOVER THE TRAIL OF THE KINGDOM OF Aratta. 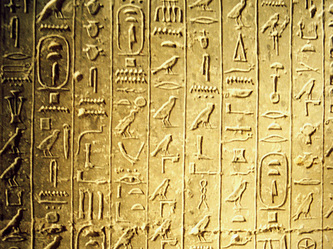 Before the Sumerians, CIVILIZATION 'AND WRITING MORE' OLD. History and Archaeology ... Jiroft (South Eastern Iran). DISCOVER THE TRAIL OF THE KINGDOM OF Aratta. 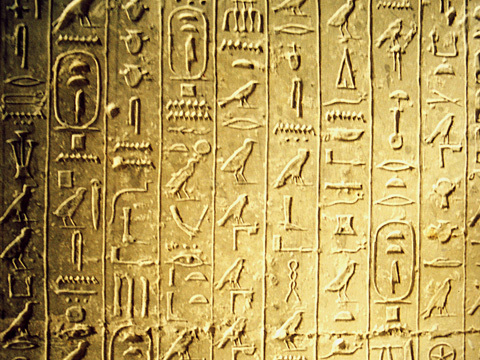 Before the Sumerians, CIVILIZATION 'AND WRITING MORE' OLD. Jiroft (South Eastern Iran) - "Gilgamesh, be my lover! Me the gift of your manhood! When you come to our house the threshold beautifully golden kiss your feet." 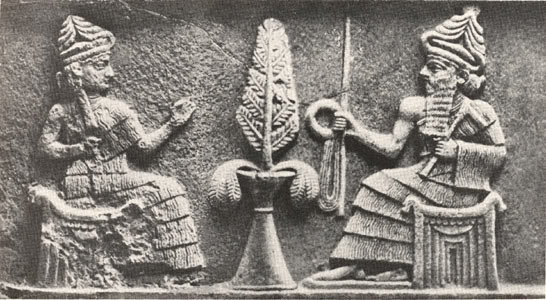 So Ishtar, the goddess of love, turns to the legendary king of Uruk in the most famous epic poem left us by the Sumerians. "Splendid" is written in the translation, but the Sumerian word is arattù, or the manner of Aratta. Aratta was a symbol of excellence for the Sumerians, the topos of all the legends like Troy it was for those of Asia Minor. 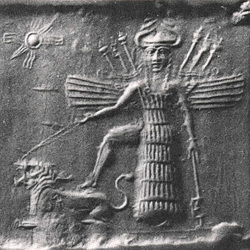 The Sumerian poems speak of it as a magical city, "distant seven mountains", in which a ruler who lived in some texts is "the Lord of Aratta", in others it is called Ensurgiranna. Scholars have striven to find a geographical location which could correspond to this legendary city. But so far the myth had been suspended in nothingness. The singularity of Aratta fact is that while the literary sources, there are countless references to the city and its riches, the name does not appear in any of the 450,000 clay tablets came down to us unchanged, in which the Sumerians diligently recorded trade lists taxes received by the subjects, agricultural or edicts of kings. It can not be the case, say the archaeologists who were now convinced that Aratta had never existed. But a recent excavation may have unearthed the mythical kingdom. If so, would be the archaeological discovery of the century. A new Trojan. That this is so, is the belief Yussef Majidzadegh Iranian archaeologist, who with an international team (which also includes the Italian Massimo Vidale, archaeologist IsIAO) leads the excavations of Jiroft, in south-eastern Europe. Majidzadeh argues that Jiroft is the oldest Eastern civilization, at least the previous two centuries the Sumerian. The archaeologist will present these days in his thesis at the International Congress of Archaeology in Ravenna. 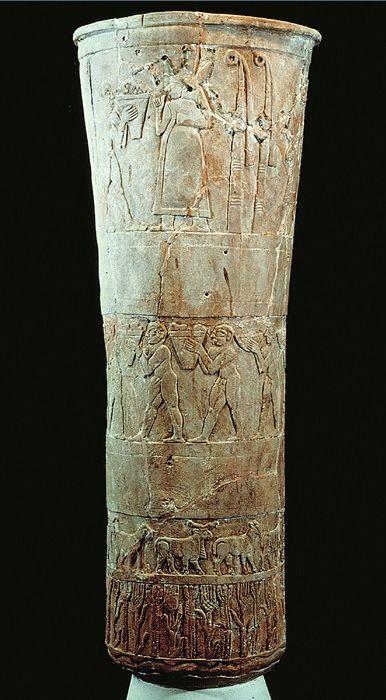 "It came to light a complex civilization, equal or somewhat higher than the Sumerian size planning for the monumental appearance and sophistication of artistic techniques. This forces us to take a new look on the formation of civilizations between the fourth and the third millennium, "says Massimo Vidale. The story begins in Sumer, has always been the mantra of archaeologists. Why Sumer began writing. But after the discovery of Jiroft this could not be more true. In the excavation was found (so far) a brick with a text protoelamico, whose origin dates back to 3000 BC in Susa C., and three tablets with writing still indecipherable. However, the writing does not appear as having played a leading role among the Sumerians. For this, says the Australian Daniel Potts, Majidzadeh Jiroft attaches to a date so ancient. According to Potts Jiroft corresponds to a city rather than late, great wealth, Marhashi, whose existence is attested by the various texts. Jiroft is a city in Kerman region known for its humid climate, subtropical. From Kerman, in the car, you arrive in a couple of hours. Leave the desert steppe of the Dash-e Lut to climb a mountain area, exceptionally fresh and green, and then descend into the valley of Jiroft. From here there are no mountain barriers to the Straits of Hormuz, the Persian Gulf moist air comes found no obstructions. By date palms and citrus make wealth. The source of water in the region is the Halil River, which descends more than 400 km from the northern mountains. Nearly a century ago, a flood changed its course, the old still remember that their grandparents told that the Halil Rud turned his back to the city and went to 800 feet away. But in 2001, after a long period of drought, Halil Rud overflowed again, this time on the soil eroded by water appeared treasures: jewelry, cheap funenarie, figurines, vases chlorite (the typical local stone green dark). The next day, hundreds of farmers impoverished by years of drought rush on the banks of the Halil in search of antiques 5000 years. Share the land with the consent of local authorities, in batches of six by six meters, one for each family, dig, pull out objects of incomparable beauty. Ten thousand holes, five or six burial spaces looted and completely destroyed the "context" which is vital for archaeologists to study and date objects. Where are the grave robbers of course there are also merchants. As soon as word spread, brokers and dealers from all over Iran, to Kabul, Pakistan - and then from Paris, London, New York. Buy direct from the farmer who digs. A vase of carved chlorite, $ 50, carved a statue, 100; made an eagle as a chessboard with pieces of turquoise 150. Be reflected in the auction houses sold in Europe and America for hundreds of thousands of dollars. The passion for "the Jiroft" raises even a production of fakes. Even the Louvre has bought five pieces (true), of which the Iranian government is now trying to regain possession. The looting lasted a year. At least 10,000 objects were taken away. Majidzadeh until the archaeologist, who had taught in Tehran before moving to France, won by the Iranian government to begin a systematic excavation with a group of colleagues from different countries. Now, says the taxi driver who takes us to the airport of Jiroft, someone like him, who has two acres of land and grow cucumbers in greenhouses, can not even do a track without ending up on him to sow the police. But this does not mean that the looting continues, quieter and more sophisticated means. Farmers have given way to the more well-equipped international smugglers, equipped with sensors, computers, equipment for work at night. Moreover, as it makes us see Ali Danesh, a young local archaeologist left to guard the site until such time as the work will resume in the fall, the excavation led by Majidzadeh is just a beginning: the sites are already recorded nearly seven hundred, in a 'area of 400 square km. We go in the hole and Danesh quickly notice that the bulletproof glass made of a statue without head protection, nearly five feet high and painted red and yellow ocher color black with small incisions, has been broken. Obviously this is not just a few passes Pasdar lone guard. "We started digging by two hills, 1400 meters apart from each other," says Vidale. "In the north is coming off a huge platform with steps, a ziggurat, with a base of 300 to 300 meters and a height of 17 meters. The whole surface of the other hill, 200 meters to 300, proved to be a monumental structure, built on an existing archaeological accumulation, surrounded by a wall 10 meters wide. To the east of the town we found another platform, 24 meters wide, which was the district of metal workers. So we are faced with a city well-structured with the administrative citadel, the temple, residential areas and workplaces. " In the small museum set up in Jiroft and cataloged by Majidzadeh, the exhibits have been confiscated from smugglers almost all, except for a cabinet with five pieces found in the excavation. 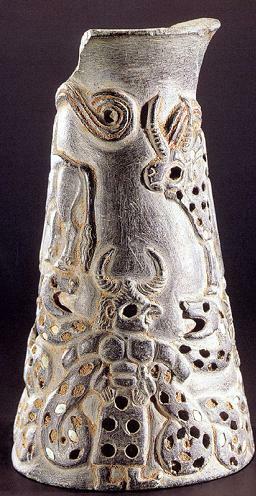 Chlorite vases carved with motifs of animals and plants, especially palm trees, human shapes and fantastic creatures, scorpion-men, men-lions, eagles, snakes. The eyes of carnivorous animals are round, oval herbivores such as those of humans. Each piece is richly encrusted with turquoise, lapis lazuli, marble, limestone white. In some there are extraordinary stylized representations of buildings, cities, fortifications, which have no examples in the ancient world. 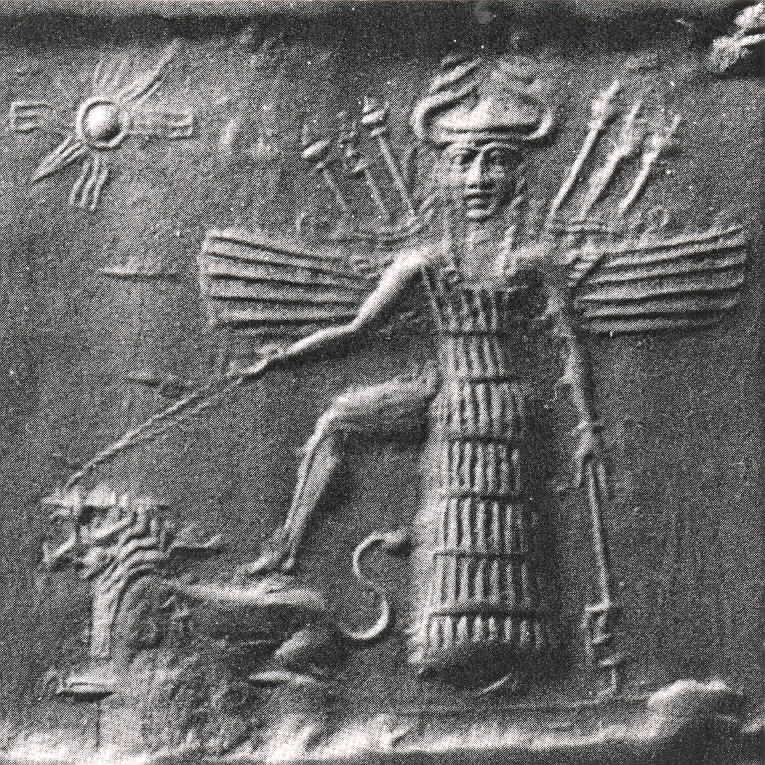 You can understand how the Sumerian king Enmerkar, in his poem "Enmerkar and the Lord of Aratta", architects and decorators of Aratta wanted to build temples to the gods of Sumer. The discovery happened by chance, following a flood of Halil Roud River, which brought to light in 2001, the objects stored in an ancient tomb, including some vessels in chlorite, sometimes inlaid with semiprecious stones. The local population is therefore devoted to a systematic looting and the objects were placed on the antique market. In February the following year the Iranian authorities intervened with arrests and the seizure of over two thousand artifacts, including objects in lapis lazuli and copper vases with representations in relief, dating to the third millennium BC. Unfortunately, the pottery and artifacts are not considered of value were lost during the looting, by not allowing the reconstruction of contexts. This civilization was previously unknown, is not mentioned in any text known to us (although some scholars have considered the suggestive hypothesis that can be identified with the "land of Aratta, where according to the myths Sumerian civilization was located a rival that of Uruk). The chlorite vases with reliefs depicting animals, fantastic beings and architecture, however, were already known to scholars for their distinctive style, but their dating and their area of origin were still under discussion. In February 2003, was led by the archaeologist Franco-Iranian Youssef Madjidzadeh a first campaign of excavations in the neighboring sites of Konar Sandal South and North, which probably belonged to one large village, which was attributable to the cemeteries looted. * Source: Wikipedia, the free encyclopedia - partial recovery .